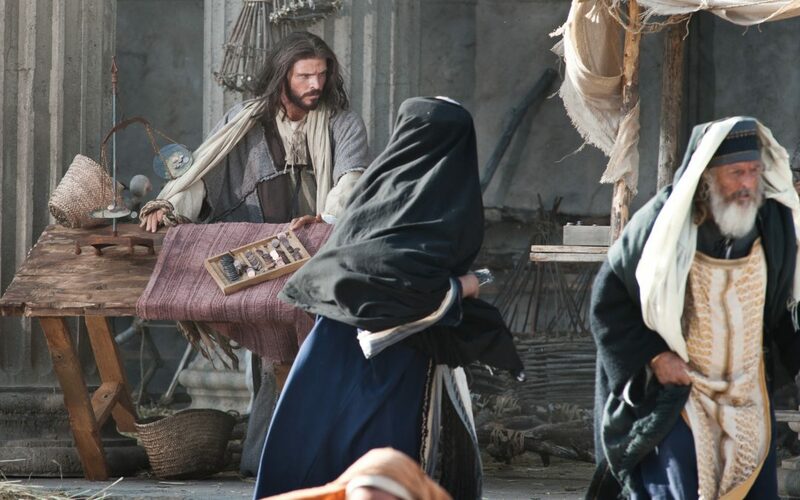 The next day, on their way to Jerusalem, Jesus is hungry (v. 12). 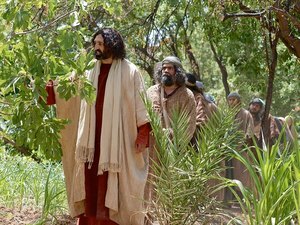 Fortunately, He sees a fig tree, but then, upon closer examination He finds that it bears no fruit (v. 13). Then somewhat strangely, he curses the fig tree. But there is more going on here than a mere demonstration of the power of God and the authority of Jesus, or a lesson on faith for the disciples. As this small literary unit comes to a close we are given a hint that it does not stand alone. We will visit the fig tree again…. 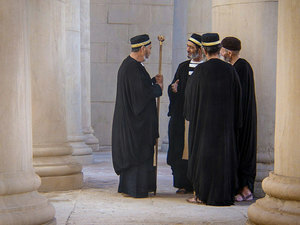 We’ve seen Jesus get into trouble with the religious authorities before throughout Mark’s gospel. But now He is taking it to another level! He takes the battle to their own home turf, taking the whole religious system to task at the holiest site in Judaism – the Temple in Jerusalem – during the most important feast of year: Passover! The court of the Gentiles was being misused for business activity, rather than as ‘a house of prayer for all nations‘ (v. 17). The result of Jesus’ use of authority in the Temple is that His popularity among the people continues to grow ever greater. This only fuels the hostility of the chief priests and scribes: Jesus must be destroyed (v. 18) (see Lane, NICNT, p. 408). Speaking of prayer, if you have sufficient faith, but bear unforgiveness in your heart “against anyone” this will surely serve as a barrier to the power of God which answers prayer (v. 25). Forgiveness is a core concept in the Messianic age, as is faith in the power of God, and the authority of Jesus. 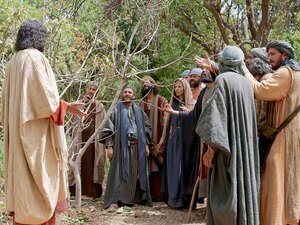 Jesus doesn’t hate this poor fig tree, but the Temple system of “worship” isn’t bearing fruit, and He is about to turn it on its head! Jesus has sealed His doom (with the religious authorities). We’ll see next time how the chief priests and the scribes challenge Jesus’ authority. Until then, Follow Jesus my friends!